To calculate the size for an interior door, measure the opening width and height at three places and add 2 inches to allow for the shims and door frame. Indicate the opening depth and door handing. Measure the hinge location. Ensure that the top corners are square, according to eHow. When measuring for the size of an interior door, measure the width of the door opening from stud to stud at the top, middle and bottom. Ensure measurement accuracy, round only to the nearest 1/8 inch and record the smallest measurement. Similarly, when calculating the height of the opening, remove the casing at the top of the door, and measure from top to bottom on the hinge and knob sides, explains Curtis Lumber. Next, note how deep the opening is, whether 4-9/16 inches or 6-9/16 inches. Indicate the handing or swing of the door and the type of floor installed. Then measure for the location of the hinges, beginning at the top of the door and measuring to the top and bottom of the hinges. When measuring, use a framing square to ensure the top corners of the opening are square. If they aren't square, makes notes, and inform the door manufacturer accordingly. 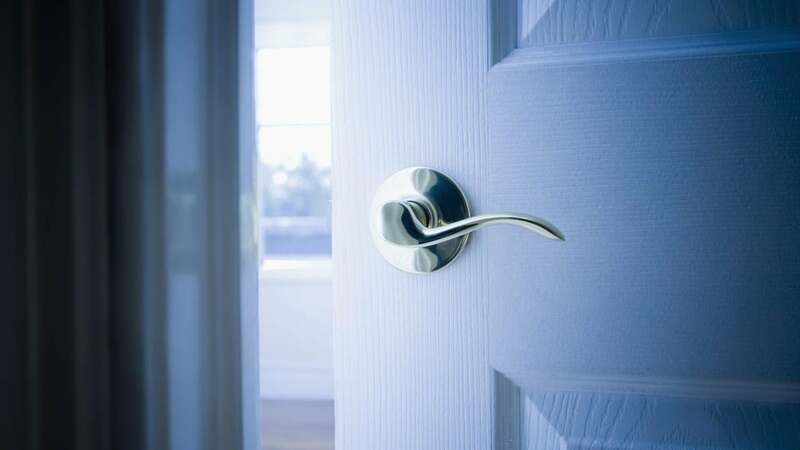 How Do You Install Entry Doors? How Do You Measure for a Residential Storm Door?